In the episode where Dorothy befriends Barbara Thorndyke, we learn that Barbara is a member of the Mortimer Club; a very fancy, exclusive community that excludes the Jewish community as a rule. When Dorothy discovers this she calls Barbara out on being a douche about the whole thing, and Barbara essentially says that since they are not her rules she looks the other way. When I see and learn of the myriad ways vulnerable groups of people (BIPOC, LGBTQIA, kids, people with disabilities, mentally ill, etc.) are treated like garbage - I’m not gonna lie - it pisses me off. Call me crazy, but I’m not okay with it! A call to action, encouraging people to open up a dialogue about how crucial it is that we re-prioritize the impact of our words and actions over our good intentions. In doing so, we must get comfortable with having uncomfortable conversations. I will be designing and printing hoodies that feature the campaign itself and a quote from someone you may or may not know who played/plays an integral role in the marginalized community that is highlighted for the month. Each community chosen will be based on the highlighted heritage. If you don’t know the person referenced, please learn about them (because these peeps are going to be awesome - duh!) I can’t stress enough how challenging it is to pick just one individual for each month. I encourage you to learn about as many individuals as possible who are not white, straight, cisgender men, as that is mostly what we have historically been taught. 100% of the proceeds will go to a different non-profit, cause, event or individual doing work within said community each month. Please head over to my Etsy shop to see this month’s design! This is something I’ve been wanting to do for a while. I feel that it is so important that we, as a society, understand how much we affect one another by our actions. Well-meaning intentions are better than ill-willed intentions, but the absolute best intentions are those that result in the most positive impact on another individual or group. We all have a responsibility to ourselves and to one another to contribute and collectively improve our communities. Don’t assume you know what’s best for a marginalized community if you’re not a member; ask and for the love of all that is holy, LISTEN. Listen especially when it’s hard to hear it, and especially if someone is trying to tell you that your impact was negative despite your positive intentions. Good intentions that don’t yield positive impact are worthless so let’s get our positive impact on! Hell YES. I sure as f*ck have and unfortunately, will likely do so again in the future. Are any of us perfect? Nope, but we can sure as hell try our best. 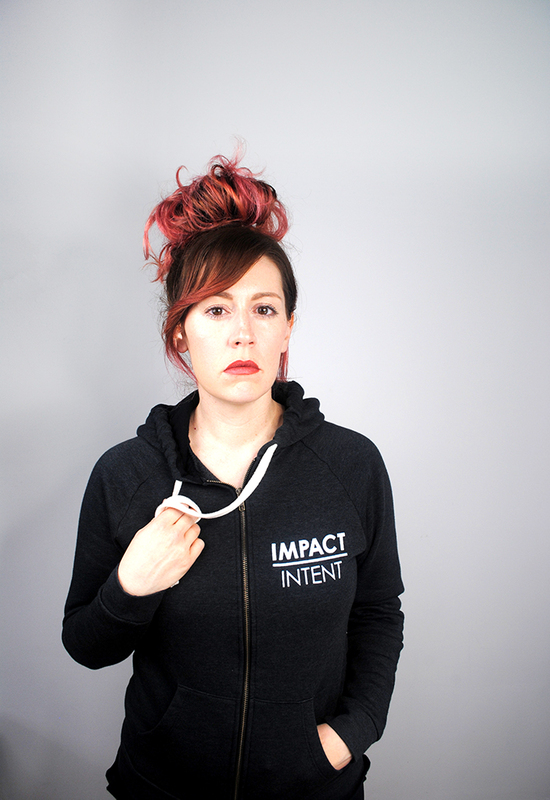 I hope that you will join me in implementing Impact Over Intent. Do your best until you know better. P.S. If you need somewhere to start on how to react if someone lets you know that your impact was less than stellar, here is a great list from Everyday Feminism. Also, Franchesca Ramsey made a really solid video clip about that.